At CERN, springtime usually marks the restart of the Laboratory’s experiments. But, while most eyes turn towards the restart of the Large Hadron Collider (LHC) and its experiments, the research programme at the Super Proton Synchrotron (SPS), CERN’s second-largest accelerator, has also resumed. This month witnesses the restart of data taking for a range of experiments fed with particle beams from the SPS. 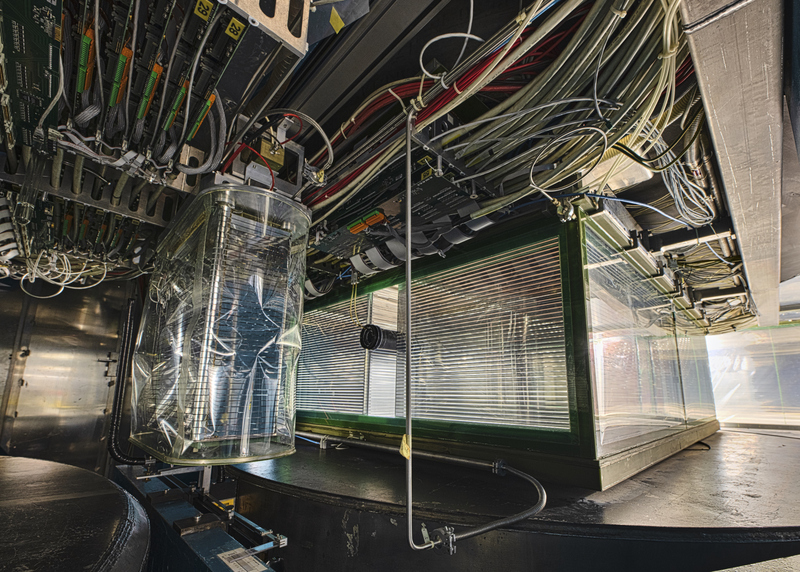 These experiments are an essential arm of CERN’s experimental programme, addressing areas as varied as precision tests of the Standard Model and studies of the quark–gluon state of matter, believed to have existed shortly after the Big Bang. On 9 April, data taking restarted at three SPS experiments: NA58/COMPASS, NA62 and NA63. NA58 directs several types of particle onto a variety of fixed targets to look at the ways in which elementary particles called quarks and gluons combine to make up protons, neutrons and other hadrons. This year, the experiment is shooting quark­–antiquark pairs called pions at a proton target to collect the world’s largest data set on a hadron–hadron collision process called the Drell–Yan mechanism, in order to make a fundamental test of the theory of the strong interaction between quarks and gluons. NA62, another fixed-target experiment, aims to precisely test the Standard Model by looking for the super-rare decay of a positively charged particle known as a kaon into a positively charged pion and a neutrino–antineutrino pair. Earlier this year, the NA62 team reported the first candidate event for this decay, and the team aims to run the experiment for a record number of 218 days this year. If the Standard Model prediction for the number of events is correct, NA62 should see about 20 events with the data collected before the end of this year. NA63 fires beams of electrons or antielectrons at a variety of fixed targets, among them large diamonds, to study radiation processes in strong electromagnetic fields, like those seen in astrophysical objects such as highly magnetised neutron stars. On the cards for this year is a measurement of the so-called radiation reaction – the effect of the electromagnetic field emitted by an accelerated charged particle on the particle’s motion. Details of this effect are under debate, even though the effect has been known about for over a hundred years. The NA61/SHINE SPS experiment is set to restart data taking on 25 April. NA61 studies the production of hadrons using collisions between several types of hadron or nucleus and an assortment of nuclear targets. In store for this year are, among others, measurements of heavy hadrons with charm-type quarks produced in collisions between lead nuclei, and measurements of fragmentation of light nuclei. The first of these measurements are relevant for studying the quark–gluon state of matter, and the second are needed to understand the propagation of cosmic rays in the Milky Way. These are not the only experiments benefiting from particle beams from the SPS. NA64 and AWAKE are both set to start taking data in the coming months. With such a rich diversity of experiments linked to the SPS, the accelerator is so much more than just a link in the accelerator chain taking protons to the LHC.